- Keep both hands back of the cutting edge at all times when using chisels. - Hardness at striking end is maintained under 42 HRC to prevent chipping, splintering etc. 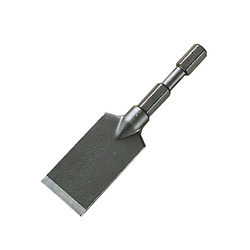 A. S. Sudershan Tools Mfg Co.
Gardex manufactures the highest quality of Mason Chisel made from superior steel. The Mason Chisel are forged/ hardened/ tempered and sharpened to perfection. High quality grip is then fitted to the Chisel. Gardex is one of the largest exporters and manufacturers of tools in the world. The sizes available are 1.75"x9"
Clients can avail from us a huge variety of precision designed SS 316 Chisels. 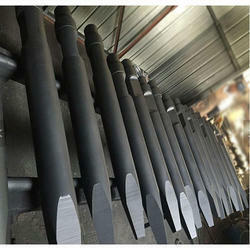 Our entire range of Chisel Pins is extensively used bucket excavators. We are able to offer our range is chisels in many sizes and specifications for meeting the specific requirements of our clients.